San Francisco-based Geli has opened an office in the Australian city of Melbourne as a result of the growing interest in energy storage and related services in Australia. The company specialises in software infrastructure to enable the emerging Internet of Energy, an intelligent network of distributed energy storage. Prior to opening the office, Geli already had its toes in Aussie waters through a partnership struck last year with local firm Energy Matters‘ parent company, Flex; involving the ACT’s Next Generation Energy Storage Grant. 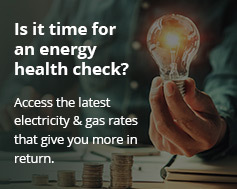 Energy Matters was one of eight providers to be selected for the initiative and is installing heavily subsidised Geli-enabled Tesla Powerwall battery solutions in Canberra homes and businesses under the scheme. As we mentioned yesterday, 100 energy storage systems have been installed overall so far in the ACT via the grant – and the target is 5,000 by 2020. Geli’s software will help participating ACT solar households get even more from their battery systems. “Geli’s ability to co-optimise solar self-consumption, time-of-use shifting, and the delivery of grid services maximises the value of the Tesla Powerwall, providing tremendous benefits to homeowners, energy providers, and distribution operators,” says Geli. This is made possible with the assistance of a small device called the Geli Jar, which can be controlled and monitored online via a handheld device such as cell phone. Founded in 2010, the company has won a number of awards and recognition for its technology, including being listed the prestigious 2015 Global Cleantech 100. Currently, Geli’s software actively manages megawatts of projects deployed around the world. “Geli has an incredible team dedicated to bringing advanced storage solutions to Australia,” said Geli CEO, Dan Loflin. The Victorian Government assisted Geli in securing its new headquarters in Melbourne, and has provided financial support through the State Government’s New Energy Jobs Fund. “Renewable energy is vital to Victoria’s energy future and Geli’s industry leading software has the capacity to simplify and accelerate the uptake of renewables,” said Lily D’Ambrosio, Victorian Minister for Energy, Environment and Climate Change. A multi-award winner itself, Energy Matters was established more than a decade ago and has been involved with some of the most innovative solar and battery storage projects in the country. “The energy management space is growing very fast and we are keen to leverage GELI’s platform to accelerate adoption of storage in the residential and commercial space. The experience they bring from having deployed such solutions in other markets will definitely give confidence to our clients”, said Wilf Johnston, Managing Director of Flex Australia. Flex/Energy Matters will be expanding its Geli-integrated solutions beyond Canberra during 2017.